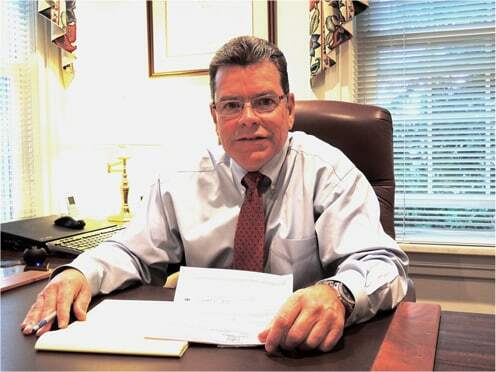 Experienced Bucks County attorney John M. Kenney has served his community on multiple fronts. His wide range of practice areas proves useful to the residents of Langhorne, Morrisville, Levittown, and other communities because legal decisions related to one area of a person's life can significantly affect another area. Most Pennsylvania residents have complex lives and need legal help in more than one context. A single legal event can set off a chain reaction. With a reputation for straight-shooting as a Pennsylvania bankruptcy lawyer and as an advocate in other areas, Mr. Kenney gives his clients the opportunity to have all of their legal issues handled comprehensively by one person. This ensures that strategic decisions in all practice areas are consistent with one another, which in turn promotes a client's long-term needs and objectives. If you are facing serious financial trouble, you may want to consider bankruptcy as a way to get back on a firmer footing. Depending on your situation, you may be able to file under Chapter 7 or Chapter 13. Chapter 7 is often known as a liquidation bankruptcy, in which a debtor’s assets are sold off to pay creditors to the extent possible. You will need to pass a means test to show that you qualify for Chapter 7. By contrast, Chapter 13 may be a better option for people who want to retain some of their assets and can use their income to repay some or all of their debts. It involves crafting a plan to reorganize your finances and repay your debts over a period of three to five years. Pennsylvania bankruptcy attorney John M. Kenney can advise you on whether Chapter 7 or Chapter 13 may be a better fit for your needs. He also can assist you with exploring alternatives to bankruptcy, such as loan modifications. One of the most important features of bankruptcy is the automatic stay, which stops most creditors from trying to collect on debts that you owe. The automatic stay thus can prevent a foreclosure on your home or the garnishment of wages from your paycheck. We can help you stop a foreclosure or wage garnishment and protect your assets to the extent possible. Once you have successfully emerged from the process, we can advise you on how to repair your credit and take steps to avoid needing to file for bankruptcy again. Having guided many Pennsylvania residents, knowledgeable bankruptcy attorney John M. Kenney can help you develop a comprehensive strategy. If you are facing a criminal charge, no matter the type of offense, you are likely anxious and uncertain about what to expect. Defendants have many protections in the criminal justice system. The prosecution will need to prove any charge against you beyond a reasonable doubt, and there are often both substantive and procedural ways to attack its version of what happened. You also have a constitutional right to a lawyer, which you should not hesitate to exercise. While you may be tempted to use a free public defender, retaining private counsel can make a big difference in the outcome. Criminal defense attorney John M. Kenney will carefully investigate the details in your case and will fight tenaciously to avert or minimize any consequences. One of the most commonly charged crimes in Pennsylvania is DUI, or driving under the influence of alcohol or drugs. As in other states, the legal limit for blood alcohol content (BAC) in a driver’s body is 0.08, and it is lower for commercial drivers and drivers under the legal drinking age. If your BAC is measured at a level of 0.10 or higher, you can face a more serious charge. People with a BAC of 0.16 or higher face the most severe penalties. While a DUI case may seem straightforward at first glance, your attorney may find ways to fight the charge. For example, the officer may not have had probable cause to stop the vehicle, or they may not have properly conducted tests of intoxication. Prosecutors in Pennsylvania also often charge offenses related to the possession or trafficking of controlled substances. While marijuana is legal in some states, possessing it remains a crime in Pennsylvania and can lead to serious penalties. If you have been charged with marijuana possession or an offense related to any other type of drug, Attorney John M. Kenney can develop a strategy to fight the charge. Many defenses in drug cases relate to constitutional requirements, such as search and seizure rules. Evidence that law enforcement seized in violation of your constitutional rights may be excluded through a motion to suppress it. Although traffic tickets may seem minor compared to criminal offenses, getting points on your driving record can result in the suspension or revocation of your license. This can affect your ability to go to work or school or to handle everyday responsibilities like child care. John M. Kenney can help you fight a speeding ticket or a ticket that has been issued in the aftermath of an accident. He can represent you in administrative hearings or efforts to restore your license following a traffic violation. Mr. Kenney also assists truckers and other commercial drivers who are facing the possibility of CDL violations on their record. If you have been hurt in a serious accident, you may have rights to assert against any person or entity that was responsible. Permanent injuries can result in a matter of moments when a driver runs a red light, a trucker falls asleep behind the wheel, a doctor makes a mistake during surgery, or a scaffold collapses on a worker. Most personal injury cases involve showing that the defendant failed to take the precautions that a reasonable person would have taken in their position. A victim and their attorney will need to bring a claim within the time window provided by the Pennsylvania statute of limitations to preserve the right to compensation. Most motor vehicle collisions are not truly accidents but instead are preventable events that were caused by a driver’s careless actions. A victim may be able to recover many forms of compensation from a driver who caused their injuries. Personal injury lawyer John M. Kenney can gather and present evidence supporting the full scope of your costs and losses arising from an accident. You may be able to recover compensation for your lost income and earning capacity, hospital bills, past and future medical expenses, and pain and suffering, among other items. Insurers usually are reluctant to pay out substantial awards, but hiring a car accident attorney who is ready to take your case to trial can make a difference. The impact of a massive commercial vehicle striking a passenger car can leave the occupants of the car with catastrophic injuries. In the most serious cases, these accidents can result in the deaths of victims. John M. Kenney can help truck accident victims and their families assert their legal rights against a truck driver and potentially other parties, such as a trucking company. If the driver was on the job when they caused the crash, the trucking company likely will be liable as well. These cases can be especially complex and should be entrusted to an attorney who is familiar with the type of investigation that they require. Some studies have shown that medical malpractice is one of the leading causes of death in the U.S. While not every mistake counts as medical malpractice, a doctor or other health care provider can be liable to an injured patient if they fail to meet the standard appropriate to their specialty. Defining the appropriate standard of care usually requires retaining an expert witness who is familiar with the defendant’s specialty and the type of procedure or treatment involved. The expert also can discuss why the patient would not have been harmed if the defendant had used the appropriate care. Workers in the construction industry face a broader range of risks than people in many other industries. Malfunctioning equipment, falling objects, falls from heights, and collapsing trenches or structures, among other hazards, can cause serious injuries. In addition to pursuing benefits through the workers’ compensation system, a construction accident victim can often bring a personal injury claim against a party other than their employer or a coworker that caused the accident. They may be able to recover a greater range of damages than they could through workers’ compensation, such as non-economic damages for their pain and suffering. Victims of accidents or illnesses that are related to their job are generally entitled to benefits under the Pennsylvania workers’ compensation system. This is a no-fault program, which means that you do not need to prove that your employer or a co-worker acted negligently. You will be entitled to benefits for your medical expenses and some of your lost wages, as well as benefits for certain types of disabilities. Sometimes complexities arise when a worker suffers an aggravation of a pre-existing condition, since the insurer may contest the extent to which the work-related injury caused the symptoms. You may want to develop a plan for distributing your assets among your loved ones in the way that you prefer. This may involve drafting a valid will as well as various types of trusts, which can transfer assets without going through probate. Through a health care power of attorney, meanwhile, you can designate someone to handle decisions for you if you become incapacitated. John M. Kenney can help you determine which estate planning instruments make sense for your needs. When a marriage breaks down, complicated issues can arise related to the couple’s property and any children from the marriage. Spouses who are going through a divorce may need to set up a child custody arrangement and determine spousal and child support payments. We can assist Pennsylvania residents with protecting their financial future and their relationship with their children. A court will base a child custody decision on the best interests of the child, while it will divide the couple’s marital property according to what is equitable in the circumstances. Purchasing a home is a major transaction with consequences that may extend far into the future. Thus, you will want to make sure that you understand the purchase and sale agreement and that it protects your interests. John M. Kenney can negotiate the terms in a purchase and sale agreement for you, such as any contingency clauses, and guide you through the real estate closing process. He can also investigate title records for the property to make sure that you have clear ownership. Since 1984, John M. Kenney has been a respected member of the southeastern Pennsylvania legal community. Clients appreciate Mr. Kenney's straight talk, honesty, and aggressive advocacy. He does not promise more than what is actually possible, and he clearly explains all of the positive and negative consequences of any legal action. Some lawyers speak in a style that only another lawyer would understand. If you don't understand what your lawyer is saying, how can you evaluate the situation and what you want your lawyer to do for you? Mr. Kenney does everything that he can to help you make a fully informed decision. The Law Firm of John M. Kenney, P.C. serves clients who need a bankruptcy lawyer in Pennsylvania or assistance in matters related to criminal charges, DUI, traffic violations, serious accidents, and other criminal and civil matters. His straightforward approach ensures that you understand your problem as well as the possible ways to fix that problem. Mr. Kenney is associated with several teams of capable attorneys in the community. If you need legal assistance in an area in which Mr. Kenney does not practice, he can refer you to a knowledgeable attorney with whom he is associated. For a free initial consultation, contact John M. Kenney at (215) 547-3031 or by completing our online form. Pennsylvania attorney John M. Kenney has been practicing law in southeastern Pennsylvania since 1983. He has extensive experience representing clients across a variety of legal areas including criminal defense, bankruptcy, personal injury and family law. A native of Bucks County, Mr. Kenney is admitted to practice law in Pennsylvania as well as in New Jersey. After first working in a medium-sized general practice law firm in New Jersey, Mr. Kenney returned to Pennsylvania to open his own, client-focused firm.